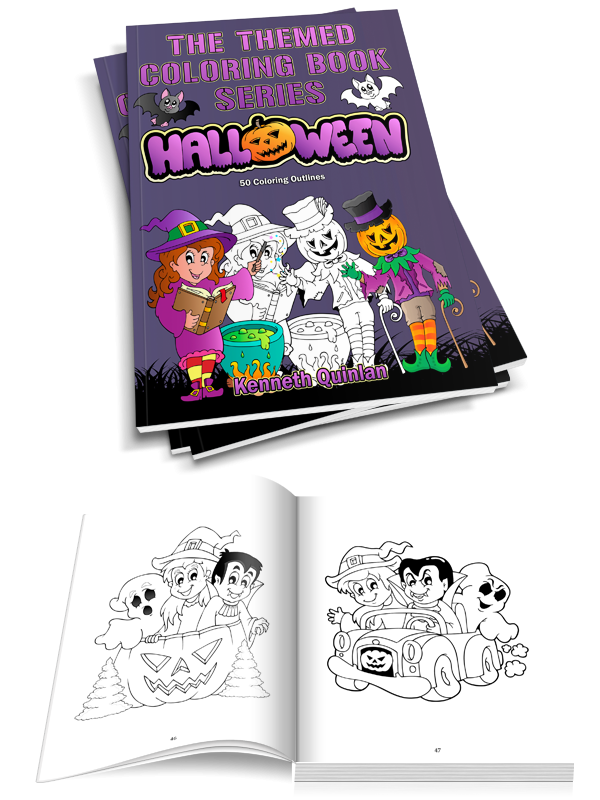 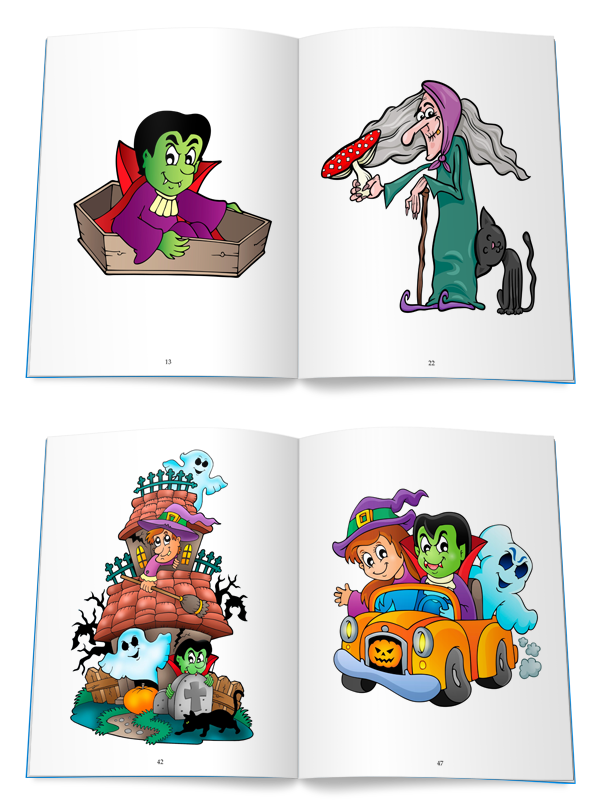 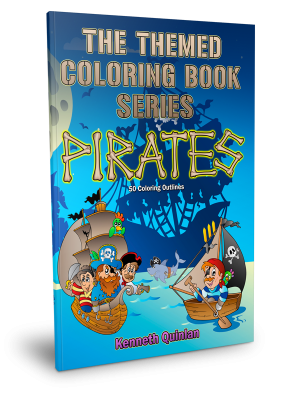 This is the first kids’ coloring book by Kenneth Quinlan and contains 50 Halloween scenes to color. 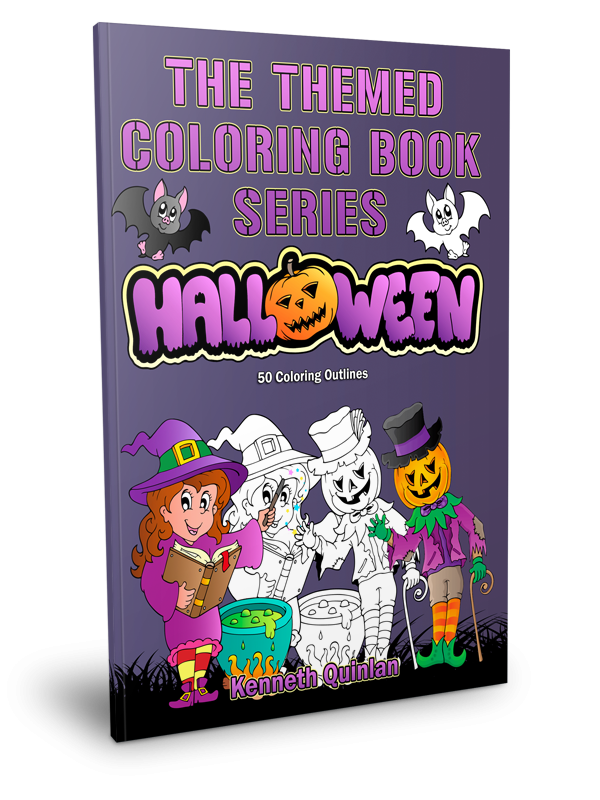 With no fewer than 50 outline drawings, this themed coloring book provides hours of fun for kids of all ages. 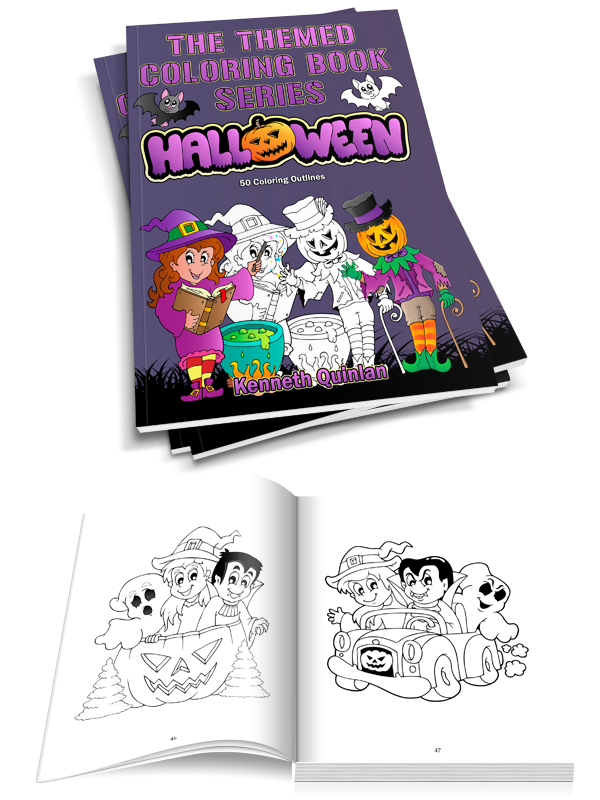 Each page contains a simple outline line drawing providing your child with a blank canvas on which to practise and develop their coloring and artistic skills. 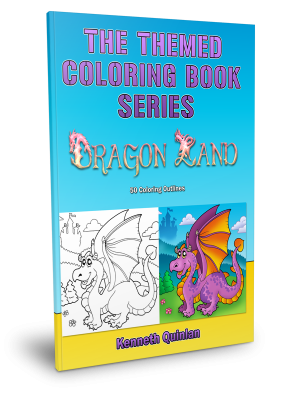 Take this opportunity to teach your child the meaning of color in its simplest form. 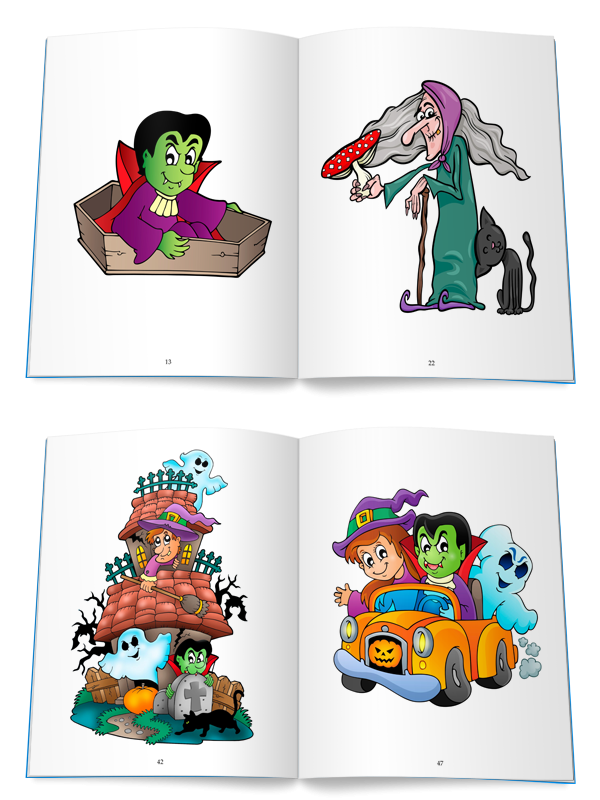 For example, that red is the color of action, energy, ambition and determination, while purple is often used to convey a sense of mystery, fantasy and the future. 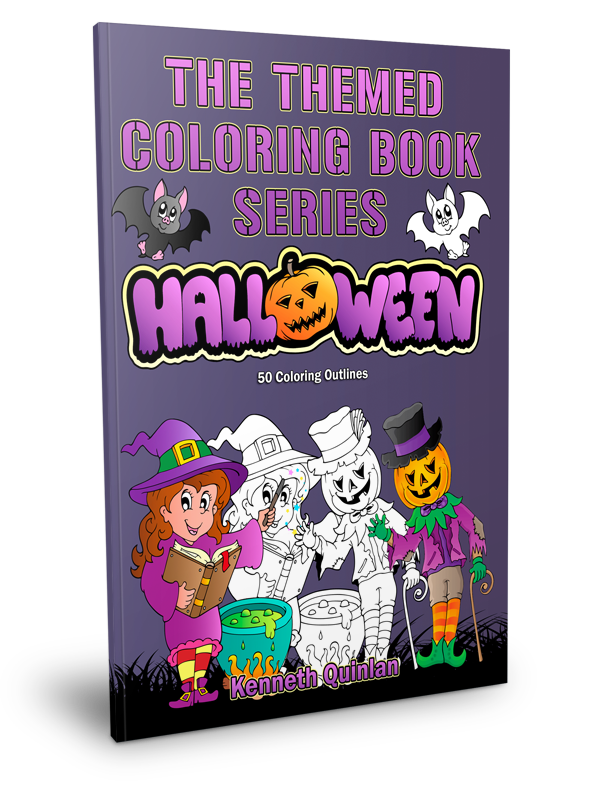 This is also a good time to start learning which colors work well together, and which clash with one another. 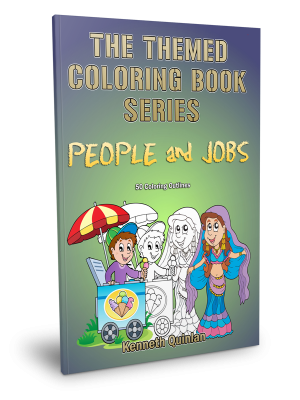 To help you in guiding your child, or if your child wishes to work alone with some guidance, there is an accompanying guide for this book, which shows a full color version of each outline drawing. 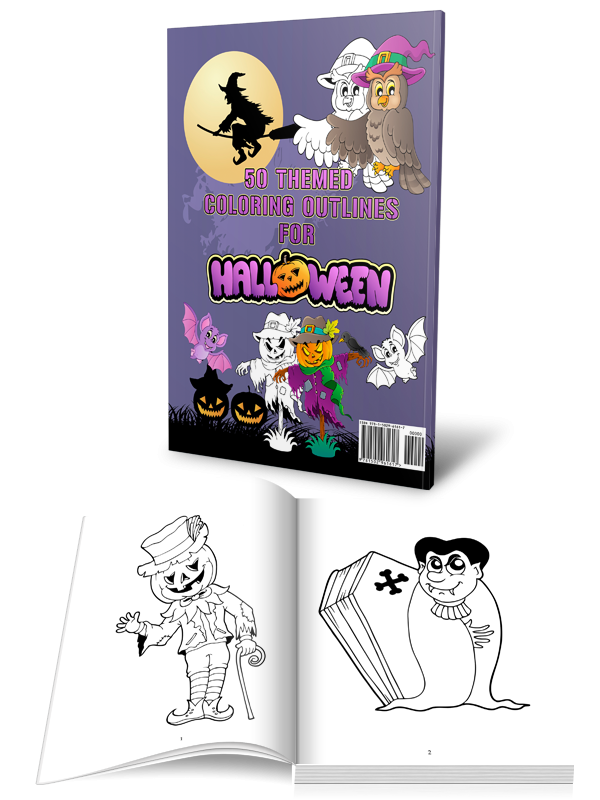 This guide is available as a downloadable PDF file, which can be viewed on a computer, or printed out on a color home printer. 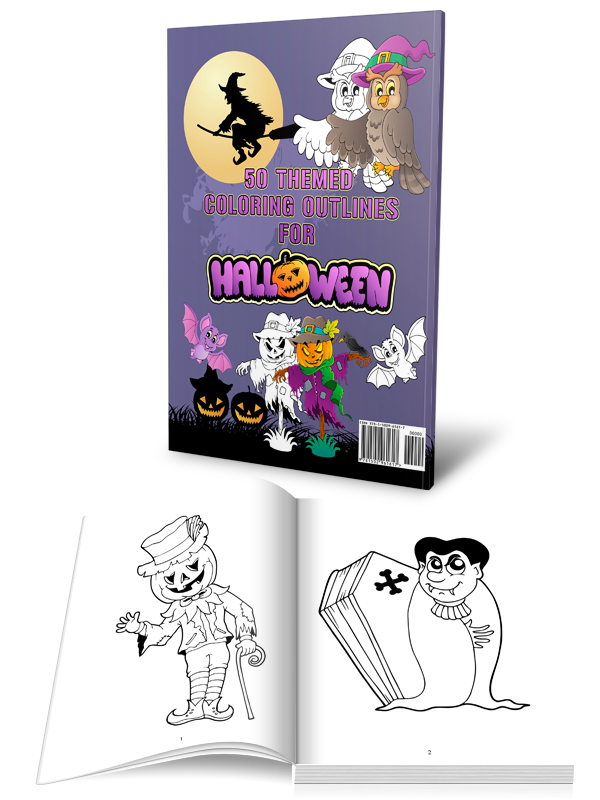 Download details for this guide, which is FREE to all purchasers of this book, are provided at the end of the book.